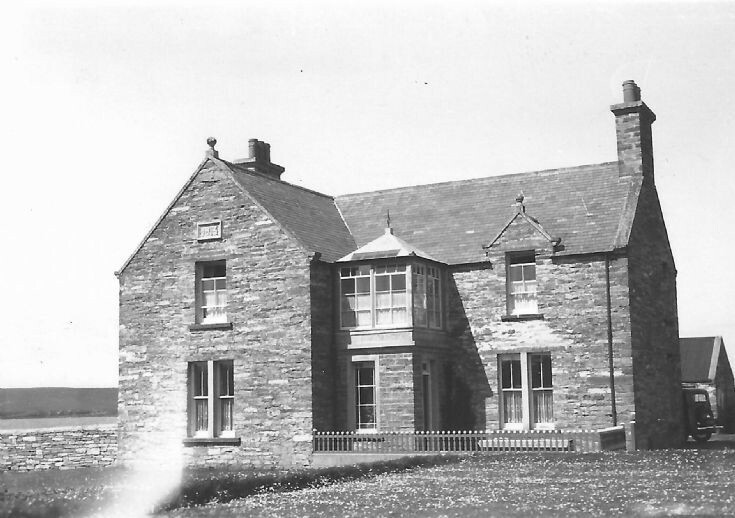 Ref picture 28393, here is another photograph of Linkshouse, Birsay taken probably not long after it was built in 1913. I found it in Mum's things. I don't know why she kept it as the only link to Birsay my family have is through my great-great grandfather, Matthew Spence. Linkshouse was built by Robert Robson Comloquoy. Rob was a joiner and also fought in the Great War. He and his wife Jeannie (Jane Brown) Sabiston were married in 1909.